The baseline of the ECG should be flat. Sometimes the baseline will instead wander upwards and downwards, which can make it difficult to interpret the ECG. This Wandering Baseline can be caused by poor electrode contact or pronounced respirations. 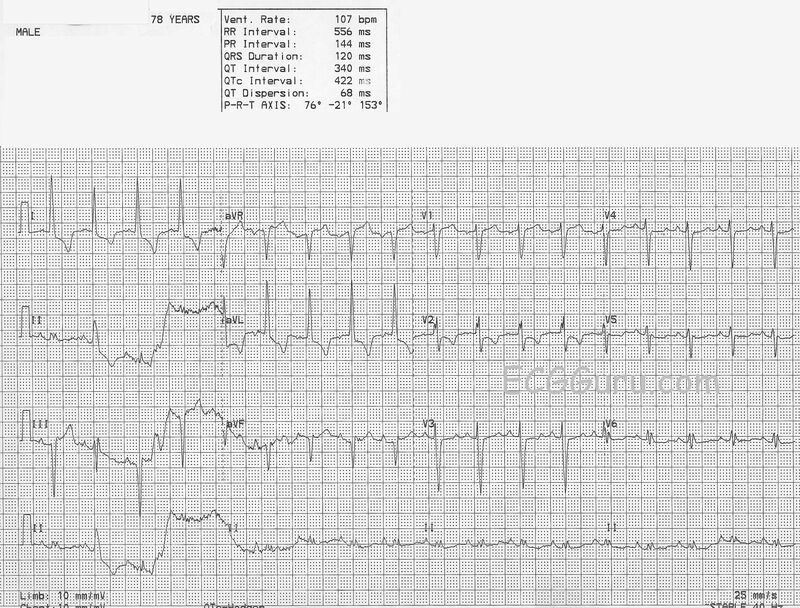 This ECG is from a young man who was found at the bottom of his basement stairs. He complained of right hip or leg pain but seemed confused about what had happened. He had a history of IV heroin abuse. Shortly after he had a wide complex PEA arrest and had a ROSC after 20 min of resuscitation with epinephrine, glucose, calcium and bicarb. This was his baseline ECG from a previous presentation. This ECG is from a man in his 50s who presented with chest pain on a background of previous CABG and dual chamber pacemaker. This was the repeat ECG on arrival. 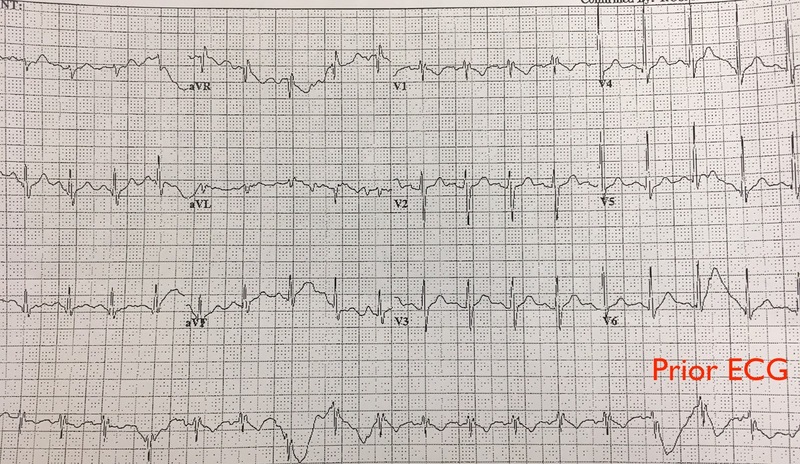 This ECG shows a wandering baseline making ST interpretation difficult, but a ventricular paced rhythm with excessive discordant ST depression in aVL and borderline excessive discordant ST elevation in inferior leads. The cause was an inferior and right ventricular infarction.